Hon’ble Commerce Minister Sh. 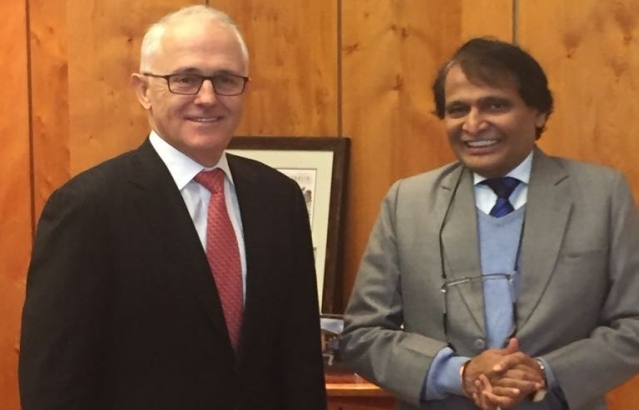 Suresh Prabhu called on Australian Prime Minister Mr. Malcom Turnbull in Canberra. Hon’ble Minister of Commerce & Industry Sh. 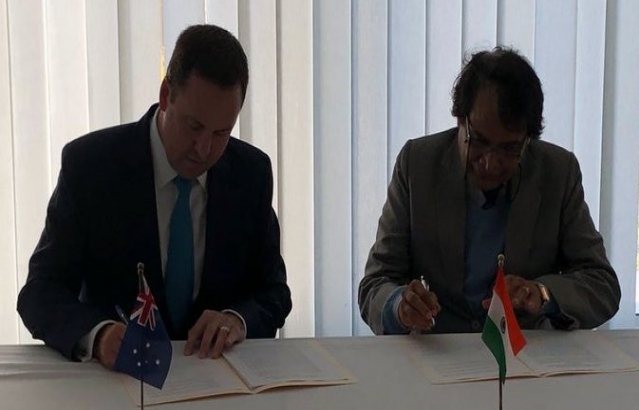 Suresh Prabhu and the Australian Minister of Trade & Investment Mr Steven Ciabo signing the Joint Statement after the Joint Ministerial Commission meeting. High Commissioner Dr. A.M. Gondane and Mrs. Varsha Gondane calling on Her Excellency Kate Warner, the Governor of Tasmania. High Commissioner Dr. A.M. Gondane interacting with Vice Chancellor and other faculty members of University of Tasmania during his official visit to Tasmania.